With Group 1 Crew being one of the most inventive and musically daring and unique CCM/pop/rap groups over the past decade, it was the band’s third album Outta Space Love that won me over as a fan- the first album I ever heard from the band from start to finish; and I was very impressed, with songs like “Let’s Go”, “Need Your Love”, “Please Don’t Let Me Go” and the title track all being highlights. Since then I have been avidly following the band and all of its members, including their member changes- Pablo left in 2012 and Blanca left in 2014. Now a solo artist, Blanca released her debut self-titled album in 2015 after being in the group since the band’s inception. With much of the spotlight and the criticism being put previously on Group 1 Crew, with plenty of critics commenting on how they thought the band should sound like (now that it was only Manwell Reyes fronting the group! ), understandably Blanca’s debut album slipped by under the radar in terms of promotion and buzz. Even we as a site posted the review of the album later than the release date! However, after all this time, Blanca’s first release, complete with her distinct soulful and captivating voice, blended together with a myriad of genres from reggae, pop, CCM, r&b, gospel, soul and many, many others, and also comprising her singles “Who I Am”, “Greater Is He”, “Not Backing Drum”, “Echo” and “Different Drum”; still has listeners singing along with the catchy beats and relevant lyrics. So, while it’s been about a couple of years since Blanca released anything new, Blanca dropped a new single, called “Real Love” last month, and now as a brand new EP as well, titled Real Love. So how does this EP stack up against the many other EP highlights this year, such as Levin Max’s Serve Somebody, Needtobreathe’s HARDCUTS, Alive City’s Say and The New Respects’ Here Comes Trouble? Well first or all, let me just say that from the outset, this isn’t like anything Blanca has released at all. It’s not CCM and pop like her self-titled debut solo album in 2015, and not rap like what Group 1 Crew have always been famous for. Maybe more like dance or gospel. Anyway, the title track opens proceedings, and is purely piano, but not a worship ballad. I’m not entirely sure what to classify the song as- what you all can do is to check out the music video below and let me know what you think. Now, have you finished? Though a simple video, Blanca eloquently reminds us that the things we do and how we look and dress doesn’t matter to God, that He just wants our hearts. Calling out fakers in the chorus, Blanca tells us all to ‘…leave your religion at home…’ and also encourages us that ‘…I know it’s about what He’s already done, not about what I think that I gotta do…I don’t need no stained glass to be washed in his blood, I don’t need no perfect, put together pretty words to be enough…’; and it is in this in-your-face anthem that we are glimpsed maybe into the type of album lyrically and musically that Blanca may be releasing very soon. Will to be what the fans want, and will it be what sets Blanca’s sophomore solo studio effort apart from others, and help her avoid the ‘sophomore slump’? Only time will tell I guess, although from first listen, this song is quite good lyrically, even though musically it takes a while to fully appreciate and be immersed in what Blanca is trying to convey here. The other four songs further enhance Blanca’s prowess as a songwriter, singer and entertainer. “Undeniable” has a Caribbean flavour musically, as Blanca channels her inner Tauren Wells and Unspoken vocally and stylistically, as she eloquently reiterates that being in relationship with Jesus is undeniable, that there’s nothing like the feeling of being unconditionally loved; while the soulful confronting and hard hitting melody “What If” asks the underlying question of ‘what if God is actually holding us, and we start believing in His power instead of listening to the lies of the enemy?’- it’s a freeing concept and the hand claps led 3 minute tune is an EP highlight. “Remind Me” is where Blanca vocally follows up from “Not Backing Down”, and is a short but fun EDM track, where Blanca asks God to remind her of His goodness and faithfulness, asking Him to ‘…remind me You are all that I need, and You are everything, and You are always with me, even in my darkest hour, You remind me of Your love and Your faithfulness, remind me of Your ways and I won’t forget, it’s true, whenever I need it, You remind me…’. The EP ends with the jazz/r&b infused pop tune “Give It All”, lyrically about surrendering our entire beings to Jesus, and giving our complete selves, holding nothing back, and being the most vulnerable we can be. 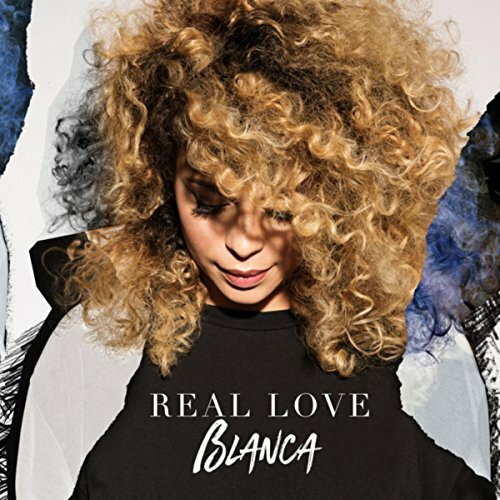 For some, the fact that Group 1 Crew have totally rebranded and now Blanca is creating solo music which is stylistically different on the whole than the rap that Group 1 Crew was famous and popular for; would be a bitter pill to swallow. But in my opinion, Blanca’s newest EP, in particular the title track, “What If” and “Remind Me” is something to be celebrated as it marks the beginning of a new chapter (genre change or genre expansion? ), with plenty of God moments and a thoroughly inspiring message. No doubt Blanca will definitely be successful on many radio stations! Fans of Beckah Shae, Britt Nicole and TobyMac will love this new EP, and as we eagerly anticipate a new full length record, let us sit back and marvel at Blanca’s prowess as a singer and a songwriter.